Big show of faith from Conte! Chelsea manager Antonio Conte has named two of the club’s youngsters who could be ready to make the surprise step up into the Blues’ first-team. The Italian was speaking at his press conference today about the state of his squad following the international break, and was not in great mood. Conte lost key midfielder N’Golo Kante, who returned injured from duty with the French national side, while Danny Drinkwater is still not ready to return. 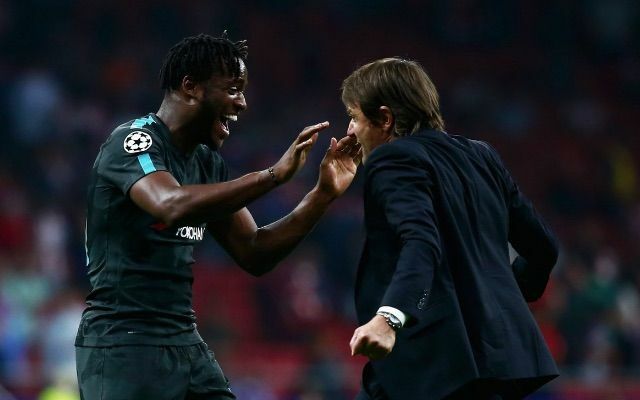 This leaves Chelsea with precious little in the way of options in the middle of the park, though Conte has suggested he will look at using some of his club’s young players in a bid to ease the burden on his squad. The Blues have a busy schedule coming up and will need to rotate, with Conte naming Kyle Scott and Ethan Ampadu as options he’d be ready to consider. ‘Team news, bad news,’ Conte was quoted in the Daily Mirror. ‘As you know very well we have three injured players. (Alvaro) Morata I hope to have him back very soon, I hope for the next game against Roma. ‘Drinkwater is progressing well but is not ready yet. We must have patience with him, with his calf problem. Conte admitted he could use players in different positions to cope with the strain, but also named promoting Scott and Ampadu as options.